End of Life for macOS Open Directory? Home » Blog » End of Life for macOS Open Directory? Are Apple’s recent announcements around macOS server indicating the end of life for macOS Open Directory? Unfortunately, it isn’t clear what Apple’s intentions are with Open Directory. However, it does appear that Apple is stepping away from macOS Server as it has quietly deprecated various components over the last few years. With all of the uncertainty around Open Directory, IT admins are looking for more stable alternatives for Mac user management. Let’s take a look at the important role Open Directory has played, and what IT admins are looking for in an Open Directory alternative. Open Directory has actually been a strong alternative itself to Microsoft® Active Directory® and OpenLDAP™ because it was created as a result of Apple wanting to create a more Mac-centric directory service. As a result, Open Directory has been used by IT admins with predominantly Mac platforms for many years. While nowhere near as successful as Active Directory, Open Directory has played an important and critical role in Mac user management. However, as IT admins start to think about the future of identity management in their organizations, it is likely that Open Directory isn’t a part of that IAM strategy. Regardless of whether or not it is the end of life for macOS Open Directory, the solution is on its way out for many companies. Why is this? Well, part of the reason could be that many cloud forward organizations are now turning to a more modern approach to directory services. IT organizations realize that their landscape has changed, and there are many examples of this. On-prem Windows systems and users are no longer the norm. Cloud infrastructure from AWS has risen in popularity, and in many companies Google Cloud Platform is replacing on-prem data centers and Windows servers. Web applications are being used by all departments within many organizations. WiFi is the common choice for internet access now, and file storage often finds itself either on-prem with Samba file servers or NAS appliance, or in the cloud with solutions such as Google Drive, Box, and Dropbox. For IT admins, the ability to manage and control user access to a wide range of IT resources is more important than ever. Traditional identity providers have been struggling with this new world order, causing IT admins to look to a modern approach to directory services. The good news is that there is a new take on directory services being delivered by the cloud identity management platform called JumpCloud® Directory-as-a-Service®. In addition to gaining widespread control over all of the IT resources in their environment, IT organizations also achieve deep system management for not only Macs, but Windows and Linux systems as well. Using scripting languages like Python, bash, or many others, IT admins can remotely execute tasks and configure machines using JumpCloud Commands. It’s also possible to enforce system behavior using JumpCloud Policy Management. Policies don’t require any coding skills and can easily be configured for a group of systems with just a few clicks. 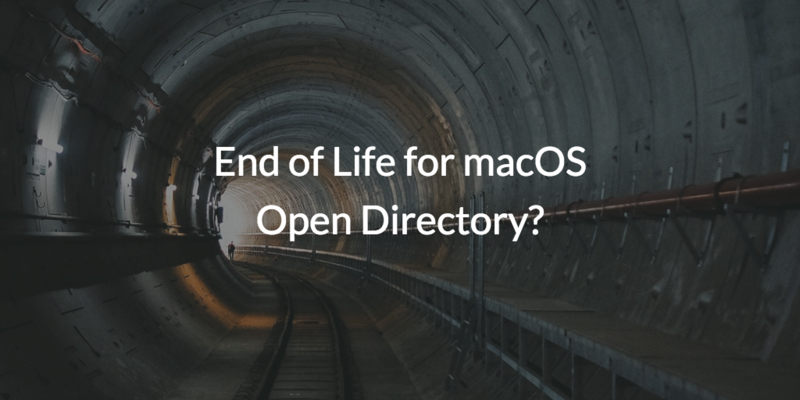 Whether or not the end of life for macOS Open Directory will happen, your IT environment could benefit greatly from centralizing user access to more than just Mac systems. If JumpCloud’s comprehensive identity management platform sounds interesting to you, there are a couple ways you can find out more. 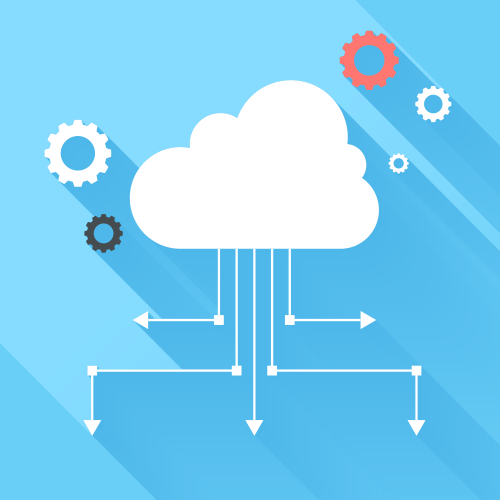 Please drop us a note if you have questions about our cloud-based directory service. You can also start testing our user and system management by signing up for a free account. Your first ten users are on us, and you’ll have full access to the platform.